In Ohio, two courts handle all bankruptcies for the state--the Northern and Southern Ohio bankruptcy courts. Filing for bankruptcy in Ohio is more challenging than in other states, as Ohio provides fewer exemptions for personal property and homes. Nonetheless, Ohio has the eighth-highest rate of bankruptcy in the United States. Some bankruptcies allow a person to no longer have any debt (Chapter 7), and some require that you make payments to the court every month for a set amount of time (Chapter 13). 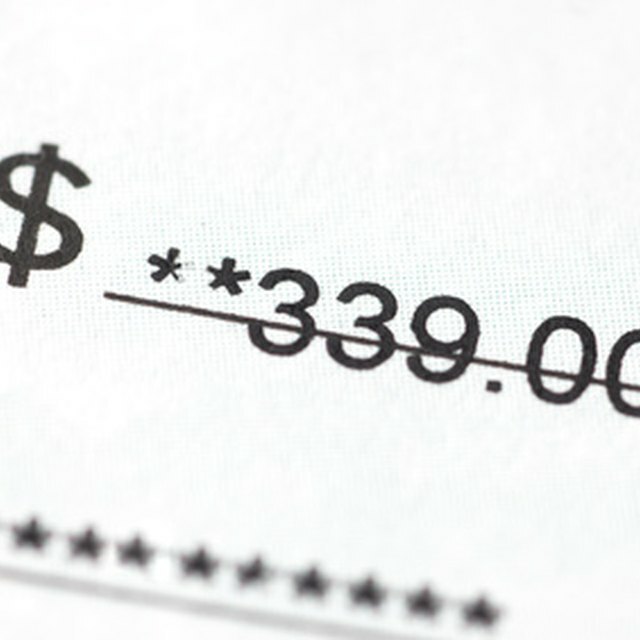 In this case, the court makes payments to the creditors and only a portion of what is owed. When the time frame is over, the creditors are ordered by the court to consider the debt paid. Here's how to file for bankruptcy specifically in Ohio in an attempt to end debt and begin a solid financial future. Find a credit counselor through an agency such as Consumer Credit Counseling Service. This is required within six months before filing for bankruptcy in Ohio. Get all of your paperwork together. You will need to get copies of all of your income and expenses for the past six months. The Ohio bankruptcy court needs to see how much you earn compared to your expenses in order to determine what type of bankruptcy you should file. Gather a list of all creditors and how much you owe each one. Create a list of all of your assets. You will need to list cars, furniture, your home and any other assets that are necessary. This will help the Ohio courts determine your worth. Ohio has certain items that are considered "exemptions," such as portions of the value of your homestead, insurance, cars and pensions. Look at the link under Resources to examine which of these exemptions applies to your case. Ohio bankruptcy law is much stricter than that in other states, such as Florida. In Ohio, you can only retain up to $5,000 in equity in your primary residence. Consult a lawyer if you own a home. Obtain a copy of your current credit report so that all of the debt collectors and creditors are included in the bankruptcy. Fill out the bankruptcy paperwork and file it with the court. Many people hire attorneys to do this step for them. An attorney will cost you an additional fee, but you will have the peace of mind that the bankruptcy was filed correctly. In general, if you can afford to pay $10,000 or more over the next five years, you will be required to file for Chapter 13 and your debts will not be discharged; you will need to repay most or all of your debt. File the bankruptcy paperwork with the court in the county you reside. In Ohio, if the court determines that you must file for Chapter 13 and not Chapter 7, when you file you must submit a repayment plan. Document your income and your basic expenses. Take the amount left over and divide this among your creditors each month. The court will decide whether you must repay all of your debt or just a percentage of the debt for each creditor based on how much money you have left over each month. Wait for notification of the bankruptcy's completion. If you filed Chapter 13, you will be told how much you owe to creditors, and your wages will be garnished; the money will be taken from your paycheck before you are paid. The court will distribute that money among the creditors for you. Make sure you file all of the correct paperwork and give copies to all of the legal departments that need them to process your bankruptcy. Hiring a lawyer is the best way to make sure the bankruptcy goes through in the best possible way for you. If you forget to include a debt in your bankruptcy paperwork and the bankruptcy goes through, you are still responsible for that debt. If you can afford to pay for some of your debt, you will be ordered to file Chapter 13, which restructures your debt but does not relieve you of all debt. Student loans are non-dischargeable debt in virtually all cases. If you forget to include a debt in your bankruptcy paperwork and the bankruptcy goes through, you are still responsible for that debt. If you can afford to pay for some of your debt, you will be ordered to file Chapter 13, which restructures your debt but does not relieve you of all debt. Student loans are non-dischargeable debt in virtually all cases. Make sure you file all of the correct paperwork and give copies to all of the legal departments that need them to process your bankruptcy. Hiring a lawyer is the best way to make sure the bankruptcy goes through in the best possible way for you.